Ha ha! 45 beats it, though! 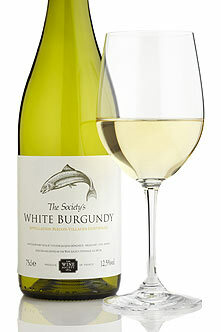 My first Society’s White Burgundy and I’d say it’s about right for the money, very satisfying. We ended up buying some bone dry 1979 Pinot Gris, some amazingly fresh and dry riesling 1989 Vendages Tardives (only 5.5 g/l! 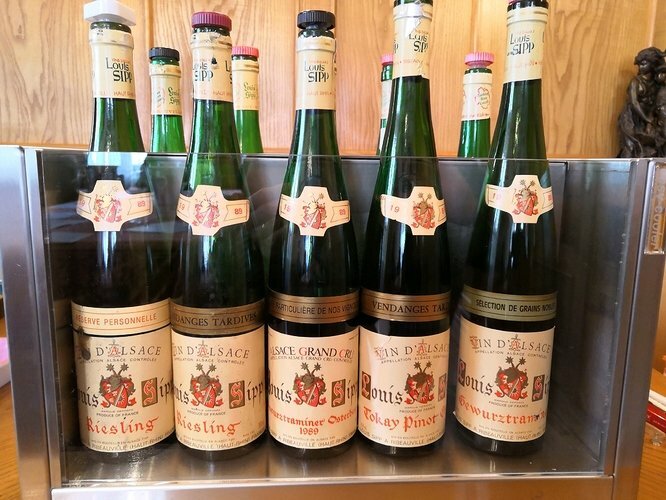 ), and indulged with a 1999 GC Osterberg gewurz. 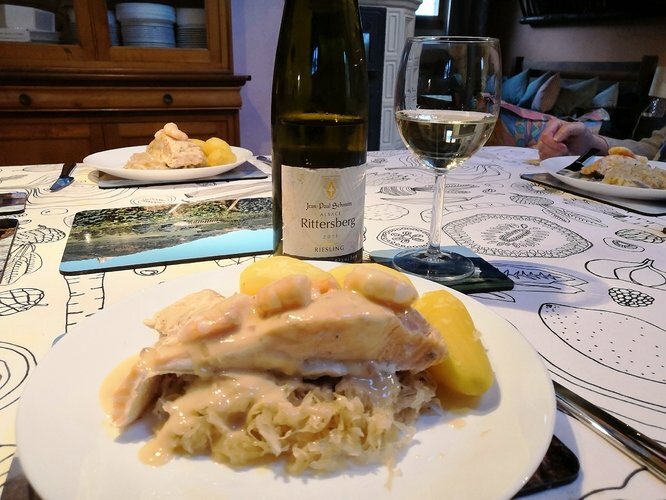 For dinner, Mrs Robertd cooked choucroute with salmon and beurre blanc. We drank some riesling “Les Pierres Blanches” 2013 from Jean-Paul Schmitt. Small producer, but makes lovely wines from the granitic Rittersberg. This was fine and long, a bit of a floral and cut grass nose, but a really airy vertical minerality to cut the rich sauce and complement the fish. My god, the tasting sounds amazing!! Seriously jealous, but knowing we’ll be there on Wednesday morning (spending Tuesday in Sttutgart) is a comfort! But I digress slightly. Not sure why but that result has motivated me to celebrate a bit with one of my favourite Majestic wines - Saint Ferréol Viognier - which is brilliantly accompanying a Thai green prawn curry. Peach, apricot, honey and a little oak. Slightly sweeter than I usually drink; delicious though. Recommended if you’ve never tried it. I know!! We’ve been watching the weather religiously! We’ll be cycling to Riquewihr on Easter Monday - for a Hugel tasting, and it’s looking very good at the moment!! Lucky people! Alsace is such a lovely place, and plenty to keep non wine fanatics happy as well! How are you going to carry all the wine back on your bikes? Not to worry - we each got a panier! I’ll carry it on my back if needs be! Oh boy is this good. Absolutely gorgeous, ripe, rich and with a long finish. 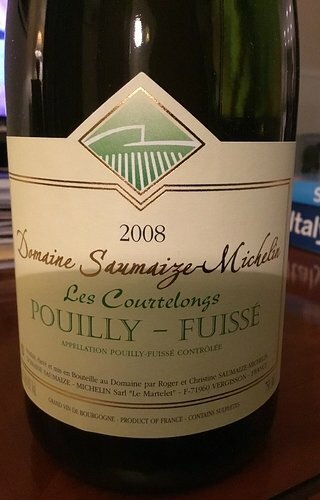 Just as it should be - like a riper Puligny-Montrachet but not at all overripe. @VinoVeritas, this isn’t my first rodeo , I also take a spare wheel with me so the space saver “space” underneath is also well utilised . 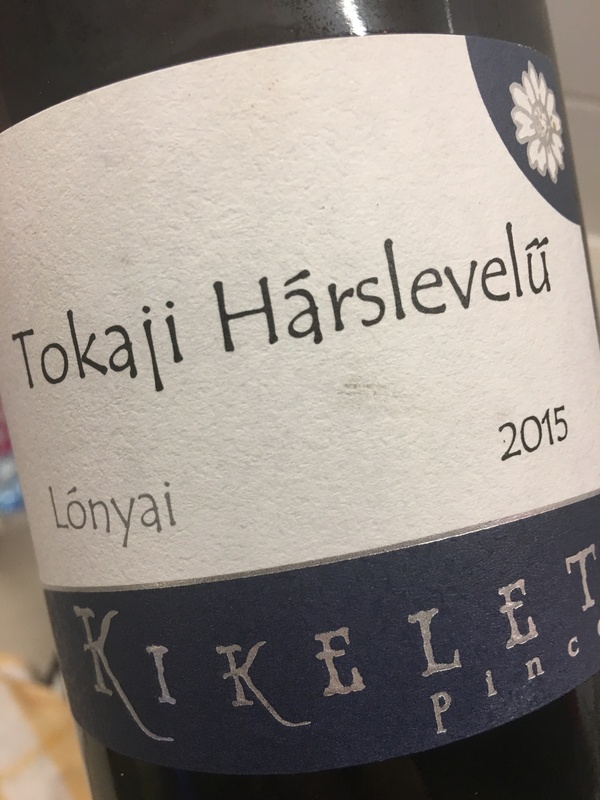 A Harslevelu tonight the 2015 Lonyai single vineyard from Kikelet in Tokaj. This is gorgeous, would recommend seeking it out if in Hungary. Quite concentrated, a bit like an Altesse on steroids. Plenty of acids and fruit to keep it going for several years. Easy on the alcohol and just delicious. 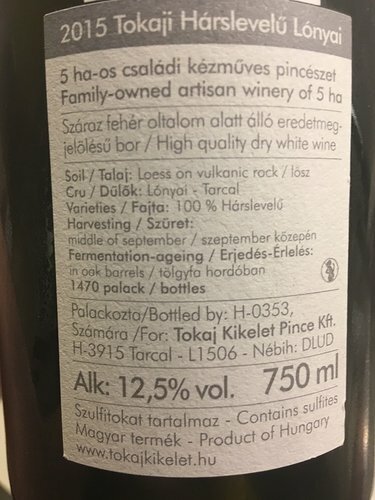 Some good info (also in English on the back label). Cycling in Alsace is wonderful. Especially on the vineyard access roads where ‘normal’ traffic isn’t allowed. And probably the best way to access Riquewihr on an Easter Monday too. I’m envious. Have a fabulous time ! 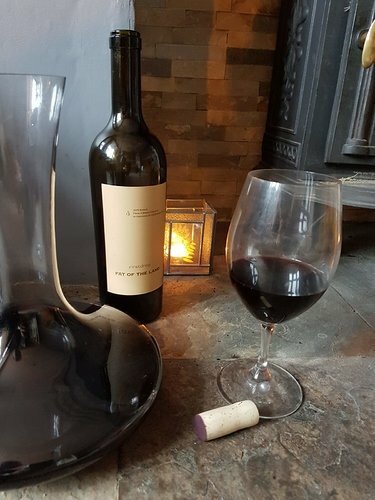 I like them too, but don’t use them at home much, as only Riedel seem to make them, and so they’re considerably more expensive than decent glasses from other producers. We decided to treat ourselves this weekend with a dry-aged rib of beef. That therefore requires a powerful wine. A local merchant suggested a single vineyard Barossa Shiraz by First Drop Wines their 2015 Fat of the Land. It did not disappoint. On the eye it’s a deep violet with a slight tawny brown tinge to the edge. It has considerably legs consistent with its alcohol content. There are primary flavours of blackberry, raspberry, plum, black pepper and mace. 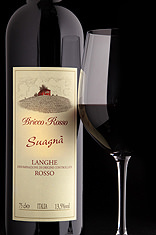 The secondary flavour of banana with tertiary ones of leather and dried fruits completed the complexity of this wine. The tannins are present and quite prominent without being disagreeable hinting this wine will get better and better overtime. I think another bottle or two may be in the pipeline to see how this develops with age.